WASHINGTON, DC - FEBRUARY 25: Bradley Beal #3 of the Washington Wizards handles the ball against the Philadelphia 76ers on February 25, 2018 at Capital One Arena in Washington, DC. 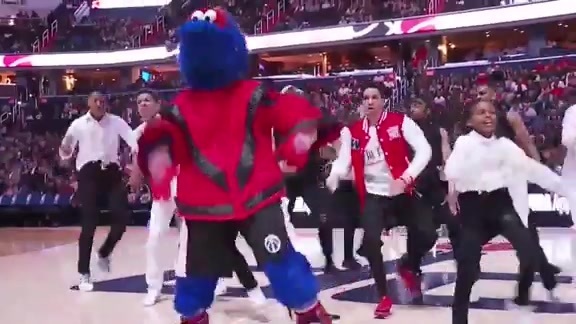 On Friday, the Wizards announced their schedule for the 2018-19 season. 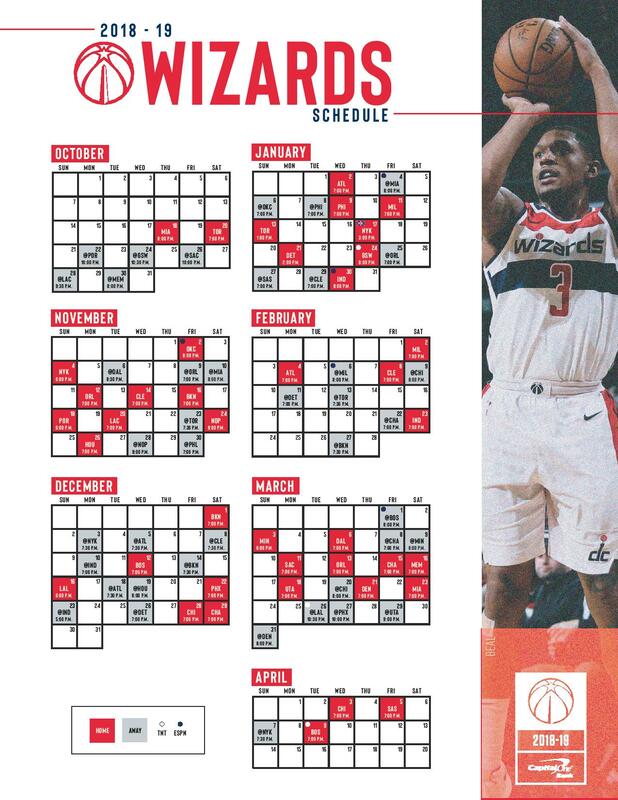 Highlighted by a game in London and an MLK Day matchup, the Wizards' schedule is now available to evaluate. The Wizards will go out West at the end of October and the end of March, play 15 back-to-backs, and open up against the Miami Heat. Now, let's take a look at the team's key games this season and some other schedule notes. The Wizards will open the 2018-19 regular season schedule at home. The Heat will be in town as the Wizards play at home to tip off a season for the second straight year. Miami narrowly beat out Washington for the Southeast Division title last season, and these teams always play close games. Led by Goran Dragic, the Heat return a very similar roster to last season, while the Wizards have a new starting center and a much deeper bench. Washington will be one of the first teams to get a look at Kawhi Leonard (if he’s healthy) on the Raptors. DeMar DeRozan is in San Antonio, but otherwise the Raptors return much of their team that beat the Wizards in the first round of the 2017-18 playoffs. These two teams played 10 times in the regular season and playoffs last year, and they’re always in for a great matchup with several All-Stars on the court. With their longest road trip of the season right off the bat, the Wizards will head to Oakland to battle against the defending champion Warriors. DeMarcus Cousins will almost certainly not be in uniform for a game this early in the schedule, but the two teams will have seven All-Stars combined in their starting lineups. The Wizards almost pulled out a win last year at Golden State, and should be hungry on their opening road trip. The first nationally televised game of the season, the Wizards will host Russell Westbrook, Paul George, and the Thunder to begin November. John Wall and Westbrook are two of the most exciting players to watch in the league, and they’ll go head-to-head in this Friday night battle on ESPN. The Wizards will host the Rockets in what will be a spirited battle of the backcourts between John Wall and Bradley Beal vs. Chris Paul and James Harden. Dwight Howard and Clint Capela may be the most underrated matchup to watch. The Wizards will look to beat the Rockets for the second straight year in D.C. This will be the first of three key games between the Wizards and Sixers as Philadelphia is considered one of the favorites to win the East. The Sixers return much of the same team from last season, including another year of growth for Ben Simmons and Joel Embiid. 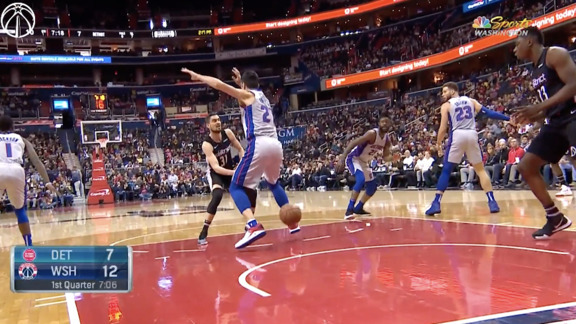 Philadelphia is always a tough place to play, and the Wizards will need to play extremely well to win this game. Victor Oladipo and the Pacers were a surprise team last season, and they improved their depth over the offseason. Oladipo, a DMV native, always brings his ‘A’ game when he plays against the Wizards. Expect the Wizards and Pacers to go at it all season in what could be a possible playoff preview this season or in the future. LeBron James and the Lakers will come to the nation’s capital for the only time this regular season. There are question marks about the team around James, but there’s no doubt that he is enough to cause problems night in and night out. Not much else needs to be said when LeBron is involved. In another key matchup of Eastern Conference teams, the Wizards and Bucks will face off in the first of three games. Giannis Antetokounmpo is rising quickly as one of the best players in the East, and the Wizards will need to do everything they can to stop him. These two teams have played very even games the past two seasons, and one can expect more of the same come January 11. The Wizards will travel overseas for a regular season game against the Knicks in the NBA London Game 2019. This will be the team’s first overseas trip since traveling to Brazil during the 2013-14 preseason. Led by European sensation Kristaps Porzingis, the Knicks are a young team looking to make a step this season under new head coach David Fizdale. 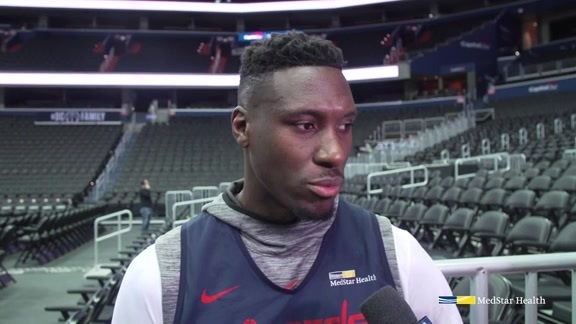 In honor of Martin Luther King Jr. Day, the Wizards will host the Pistons for a Monday matinee. Playing games on MLK Day has become a tradition in the nation’s capital and in the NBA as a whole. The Pistons bring in a dynamic duo up front in Blake Griffin and Andre Drummond, and the Wizards will have their hands full down low on MLK Day. We all know about the playoff series two years ago and the great Christmas Day game last season. Boston is one of the toughest places to win and the Celtics will have one of the best teams in the league now that they’re healthy. Watching Wall, Beal, Howard, Kyrie Irving, Gordon Hayward, Jayson Tatum, and company go at it will be a lot of fun.